First, it must be said that there is something so intensely seductive about the Louboutin Pigalle shoe; it is utterly flawless. The way the design and shape hugs every curve of the foot; the way the front broadens out to give that deep, seductive allure to the instep; to the way the sole of the shoe’s enticing arch folds seamlessly into its indelible stiletto heel; one thing is certain: Mr. Louboutin conjured the abstraction that is perfection into true physical form. But, Crystal Heels couldn’t leave perfection alone. We, Crystal Heels, decided to improve on perfection by fully custom strassing each one of these perfect heels in illuminating, diamond-like AB Swarovski crystals. 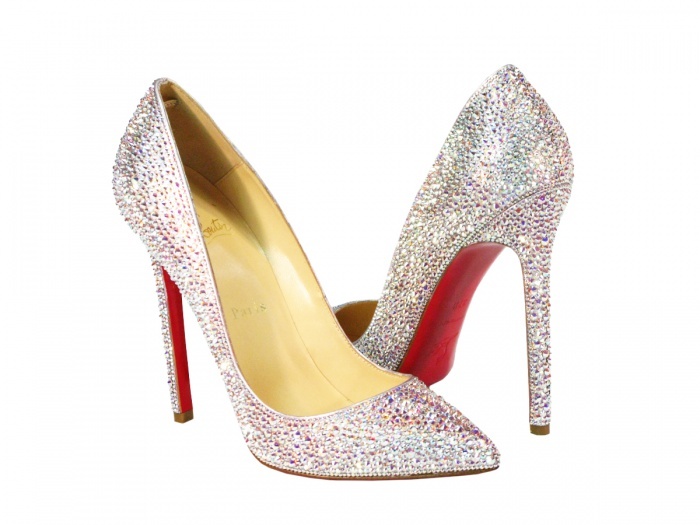 The AB Special Effect crystals give off an iridescent, shimmering haze of bedazzled radiance. This results in the most intense, incredibly varied kaleidoscope of brilliance one has ever seen. It is true, Louboutin’s Pigalle and Crystal Heels is a match made in shoe heaven. As you can see below, we created the most drool-worthy, ogle-worthy, gasp-worthy, jaw-dropping worthy pair of stunning stilettos the world has ever seen. Yes, we not only improved on Mr. Louboutin’s perfection; but the result was even better than we ever expected. Available in limited quantities so get yourself a pair today!